Of the 1,099 drug-related killings outside of police operations, only 327 have been "solved"
Manny's murder is just one among the 1,099 drug-related killings outside of police operations across Metro Manila. The killings stretch from July 2016 (about a month after President Rodrigo Duterte assumed office) until October 2018, with numbers based on statistics kept by the regional police command in charge of the area, the National Capital Region Police Office (NCRPO). Metro Manila is the nation's capital. The cities and one municipality make up one of the most densely populated areas in the world – making it crime-prone. Solving these drug-related killings has especially been difficult for Metro Manila. Of the 1,099 vigilante killings, only 327 have shown promising results: 131 have been solved and 196 have been cleared. This means that a big majority of the drug-related vigilante killings, 70.2% of them, have not been filed in court and that no suspect has been identified. We mapped the drug-related killings outside police operations during the first 26 months of President Duterte’s administration (see below). WASHED IN RED. Majority of drug-related killings still have no suspects to chase and not enough evidence to stand in court. The city of Manila registered the highest number of drug-related killings outside police operations, with its record standing at 161. Manila is where the presidential residence Malacañang is located, and where the administration’s so-called war on drugs was declared first in 2016. Of the 161 killings, only 8 have been cleared and 31 have been solved. After Manila is Pasay, the city south of Manila which houses the country’s busiest airports. The city saw 149 drug-related killings, with only 7 cleared and 12 solved. Despite its wide area and large population, Quezon City only counted 26 killings, with two cleared and 6 already solved. Financial capital Makati, meanwhile, recorded no drug-related killings outside police operations. Pasig and Taguig rank no. 3 and 4 respectively in terms of drug-related killings outside police operations. The former tallied 122, while the latter counted 112 deaths. Pasig has the highest number of cases filed in court without any suspects caught, recording 50. Manila, meanwhile, saw the highest number of solved drug-related homicides, keeping a tally of 31. 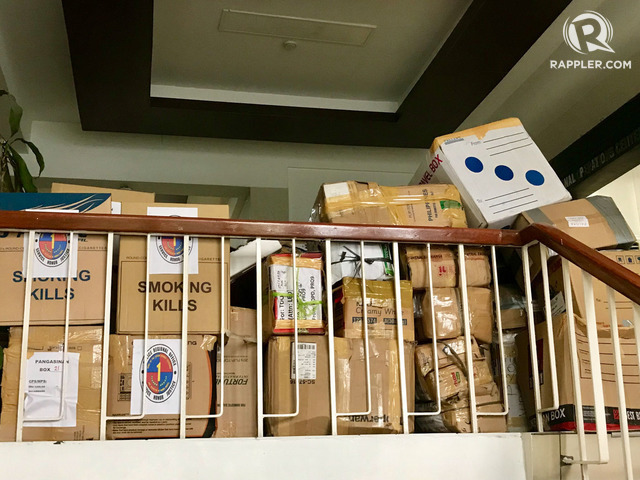 It is followed by Pateros, which, despite being the only municipality in the metro, has already solved 26 of the 68 drug-related killings in its area. 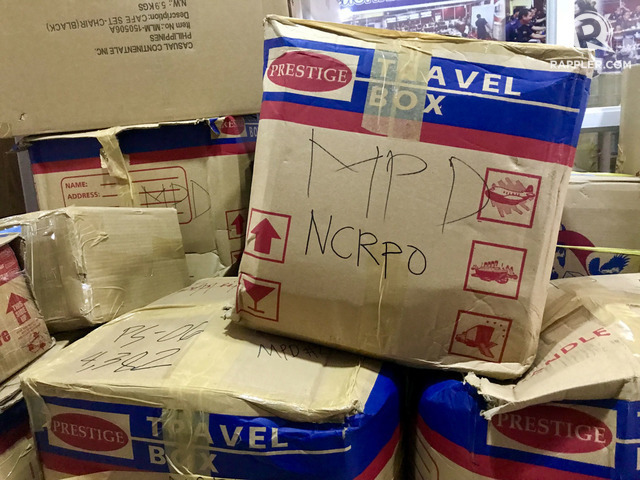 According to NCRPO Spokesperson Police Senior Inspector Myrna Diploma, the cases are moving forward at a glacial pace because their investigators want to be thorough before filing complaints. Doing otherwise would risk dismissal at the prosecutor level. “Dahil pinag-aaralan po namin nang maigi para maifile namin ‘yung kaso sa court (This is because we are studying the case carefully, so that we can file it in court,” Diploma told Rappler. She admitted, however, that solving killings is especially difficult because “it involves the loss of a human life.” Besides, in high-level crimes, criminals usually have a deep motive and a detailed exit plan. Diploma said homicide investigators usually end up facing a blank wall because of problems with witnesses. It’s not that there are no witnesses to the killings, but rather a case of them being afraid to speak up. “Ayaw nilang madamay dahil natatakot nga sila or meron namang kilala nila kaya takot na takot talaga. Ayaw nilang madamay (They don’t want to be involved because they are afraid. There are some who know [the suspect] that's why they're really very afraid. They don’t want to get involved),” Diploma said. Frightened witnesses are not new to policemen. There are cases where witnesses could easily be tracked by culprits because of close connections, such as being friends or family. Then there are reported instances under the Duterte administration where families point to their local cops as having engineered the killings. In 2017, Rappler reported on Tondo locals naming a cop as being behind killings of members of their community: Police Officer III Ronald Alvarez. When asked for comment, the Manila Police District just dared the witnesses to prove their claims. Another reason why cases move forward at a snail's pace is that the witnesses simply don’t want to be bothered with them. “Then ayaw din nilang maabala. ‘Yun ‘yung number 1 pa, ‘yung ayaw nilang maabala. Siyempre kasi pag naging witness ka po is maga-attend ka po ng mga court hearing, so hindi sila makakapasok sa kanilang mga, kung may mga trabaho po sila, ganon po,” Diploma said. Drug-related cases are also more complex than the non-drug related killings. Cops face the challenge of having to crack the circumstances of the murders, besides also needing to keep an eye out for the drug groups. Doing these, former Philippine National Police chief Ronald dela Rosa once said, could cost the lives of their investigators. The 5,050 killings in police operations are not criminally investigated by cops because, according to them, they are covered by so-called "presumption of regularity." This presumption, however, has already been debunked by a court conviction of 3 cops who murdered 17-year-old Kian delos Santos during a Caloocan City anti-drug sweep in 2017. Human Rights lawyers also contest the same principle, saying that according to the PNP manual, deaths take away that presumption of regularity. But where cops do not want to investigate, prosecutors should, according to a petition of the Center for International Law (CenterLaw) with the Supreme Court. Their petition seeks to declare the campaign against drugs unconstitutional. 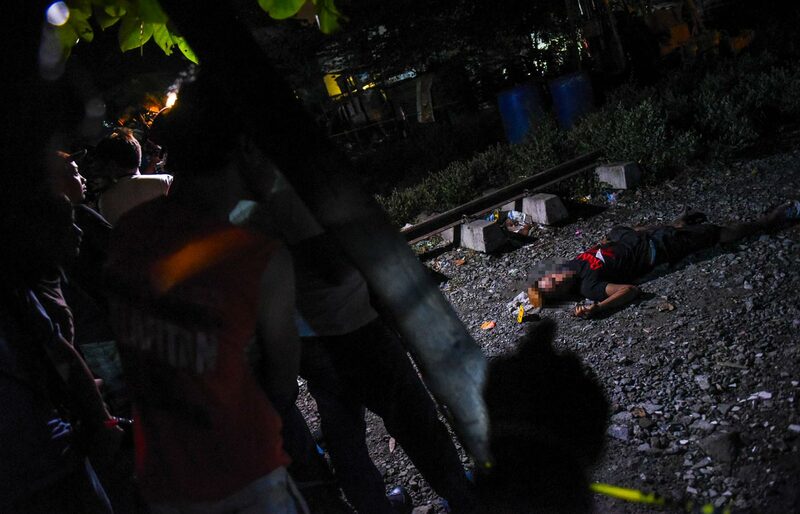 The Duterte government confirms there have been 5,050 deaths from police anti-drug operations, as human rights groups peg the total death toll at 20,000 if deaths by unidentified assailants or vigilantes are included. The DOJ provided these nationwide numbers to Rappler in October 2018, collated from all prosecutors offices from July 2016 to August 2018. The statistics exclude numbers from Manila, Quezon City, and Taguig. Rappler has been following up with the DOJ since October for the latest data, but as of January 10, 2019, the department has not provided updated information. This belies the persistent claim of the administration that they are investigating each and every death. Justice Undersecretary Markk Perete points back to the police – the same police who claim that the deaths from their own operations no longer need to be investigated. "Preliminary investigations (PIs) are conducted usually after evidence have already been gathered by law enforcement officers who then file before our prosecution service the relevant complaint and submit their evidence in support thereof," Perete said. Antonio and CenterLaw want justices to take note that when a death happens, prosecutors do not need a complaint for them to act on it. Section 16 of DOJ Circular No. 61 mandates prosecutors to rush to the crime scene "whenever a dead body is found and there is reason to believe that the death resulted from foul play, or from the unlawful acts or omissions of other persons and such fact has been brought to his attention." "In other words, law enforcement authorities must inform first the inquest prosecutor of these matters for the inquest prosecutor to actually be involved in the investigation by law enforcement authorities," Perete said. Antonio attested that getting witnesses to come forward, much less file a case, has been a major challenge in seeking justice for those who died in the campaign against drugs. That's where Circular No. 61 comes in, as Antonio said the lack of witnesses should not stop an investigation. “Naririnig natin na sinisisi pa ang members ng family na bakit hindi kayo mag-file ng cases in court. Baliktad (We hear them blaming families for not filing cases. It's the opposite), it’s the police and fiscals who must prepare cases whenever there is a killing,” Antonio said. “I would like to think that our prosecutors are not complicit, I would like to think that being trained as lawyers that they have a love for the law and the Bill of Rights. I would like to think that what’s really preventing our prosecutors is mainly fear,” Antonio said. What CenterLaw, and their co-petitioner Free Legal Assistance Group (FLAG) are trying to do at the Supreme Court is prove illegal conduct by the police, in a bid to declare unconstitutional the entire campaign against drugs. Two local cases help that bid somehow: the conviction of Caloocan policemen in the killing of teenager Kian delos Santos, and the acquittal from drug charges of a tricycle driver whom the police shot at, but who survived by playing dead. But the decisions of trial court judges in those two cases are narrow, in that they fail to tackle whether or not the police operations in themselves were legal. In the Kian delos Santos case, Judge Rodolfo Azucena Jr of Caloocan even dismissed charges of planting of evidence against the convicted cops. Antonio again directed attention to prosecutors. “The judge may have been limited by what was given him, what framework was given him. It is the prosecution that prepares the case...the judge takes his cue from the evidence that was presented, the story presented by the prosecution so that may have been a factor,” Antonio said. Perete said that "as far as we know," cases filed so far have already prompted police to review or modify their anti-drug operation guidelines. The PNP has revamped its anti-drug operations to address concerns of human rights violations, such as limiting the controversial Oplan TokHang to daytime only, and that all operations should be overseen by the Philippine Drug Enforcement Agency (PDEA). "Both the PNP and Department of the Interior and Local Government (DILG) are in the best position to address any perceived loophole in their operations and policies, regardless of the breadth and scope of the Court's decision in the Kian delos Santos case," Perete said. The Commission on Human Rights is currently investigating 1,500 cases – a mix of deaths during police operations and extrajudicial killings – a number that Chairman Chito Gascon admits is not enough. The current setup of the Commission and lack of manpower are proving to be obstacles in keeping apace with investigations, especially with the high number of killings that have been recorded since the start of the anti-drug campaign. Now, the CHR has changed a lot in its operations to adjust to scenarios. For example, the police is no longer the “first point of call” of CHR investigators when it comes to pursuing complaints or probing incidents related to the extrajudicial killings. Cooperation between the CHR and the PNP has long been a matter of debate. 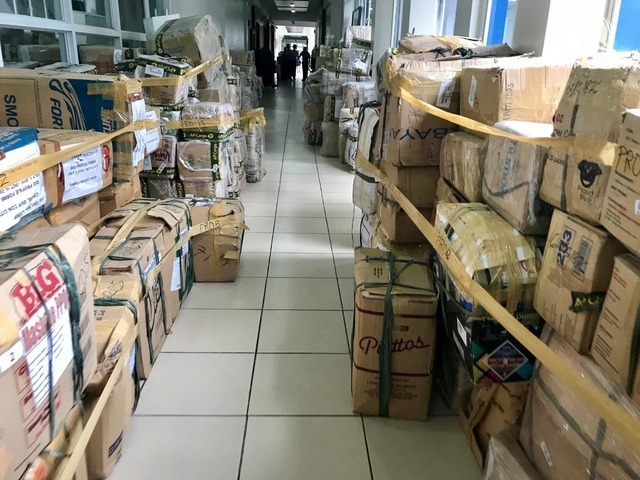 The Commission’s requests for access to case folders related to the anti-drug campaign have been consistently rejected by authorities despite public promises made. 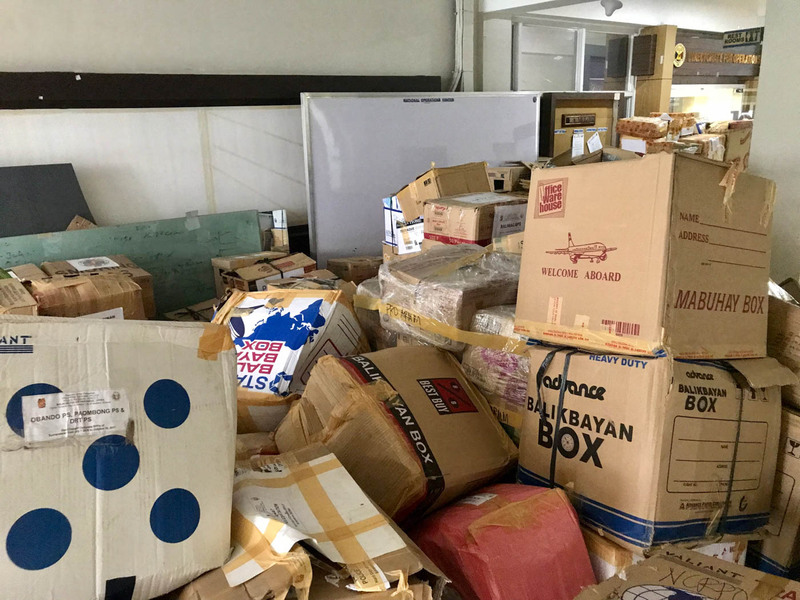 In the absence of cooperation from the PNP, the CHR has used its partnerships with several groups, including non-governmental organizations and churches, and even the media to help in the documentation of cases. They hope to double the cases they are investigating in 2019. “That’s only a fraction of the deaths but if we do it well, are able to look at patterns that are emerging and identify common perpetrators, maybe we will be able to hold someone to account down the road,” Gascon said. The Duterte administration has been stingy with information that even the Supreme Court (SC) has had difficulty getting documents on drug war deaths. The justices were finally able to compel the government to turn over these documents in April 2018. Justices are still going through them, concerned whether the police reports exist at all, and if they indicate that the killings are state- sponsored. The systematic delay in solving the killings does not help the Duterte administration at all in a landmark legal battle before the International Criminal Court (ICC). A total of 52 communications sent to the ICC allege that the killings amount to crimes against humanity. Prosecutor Fatou Bensouda is examining the situation, but she will lose jurisdiction if it is proven that the Philippines is able and willing to prosecute the crimes on its own.